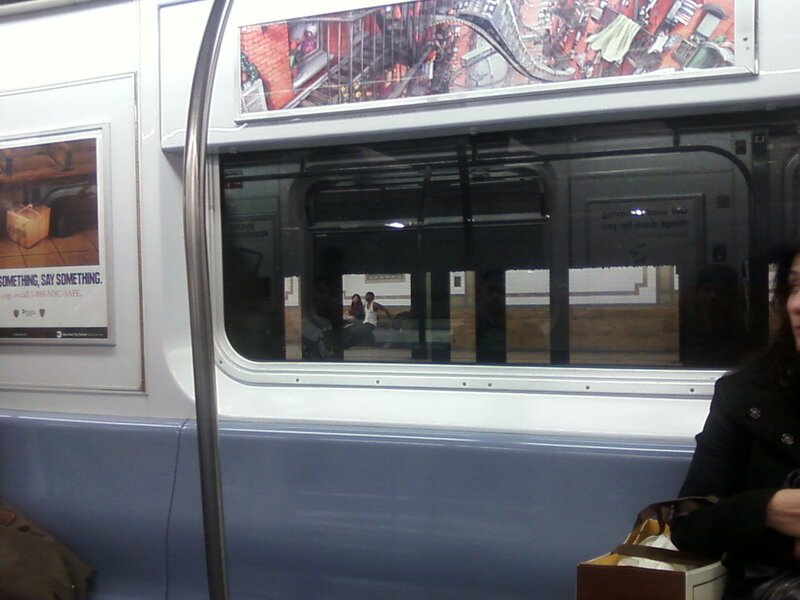 You can’t really make it out, but this photo depicts a man using a bench on the subway platform to do arm exercises. And the woman next to him looks uncomfortable, but too tired to move. Which is sort of an interesting metaphor. I feel like I get that way a lot–uncomfortable with my situation, but too tired to do anything about it. I finally got around to cleaning my room, though, so things are looking up.